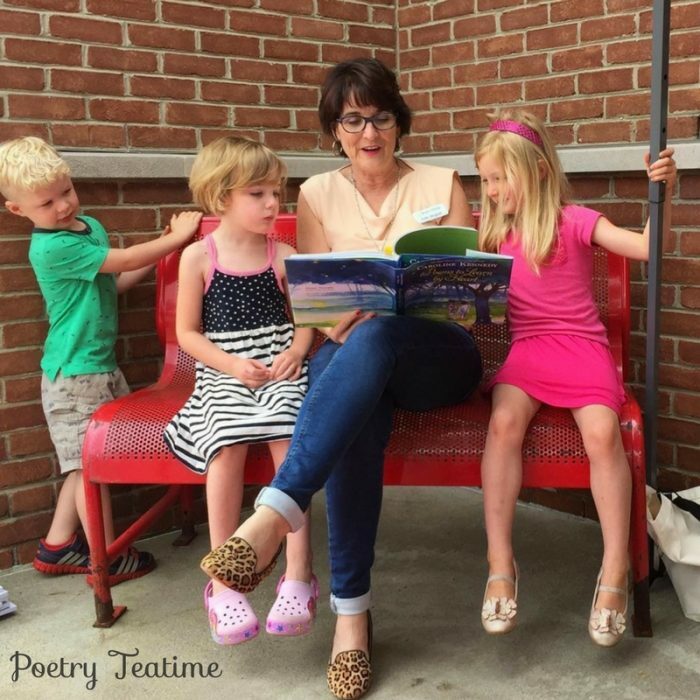 A few weeks ago, Julie met with a group of Brave Writer families for a Poetry Teatime. 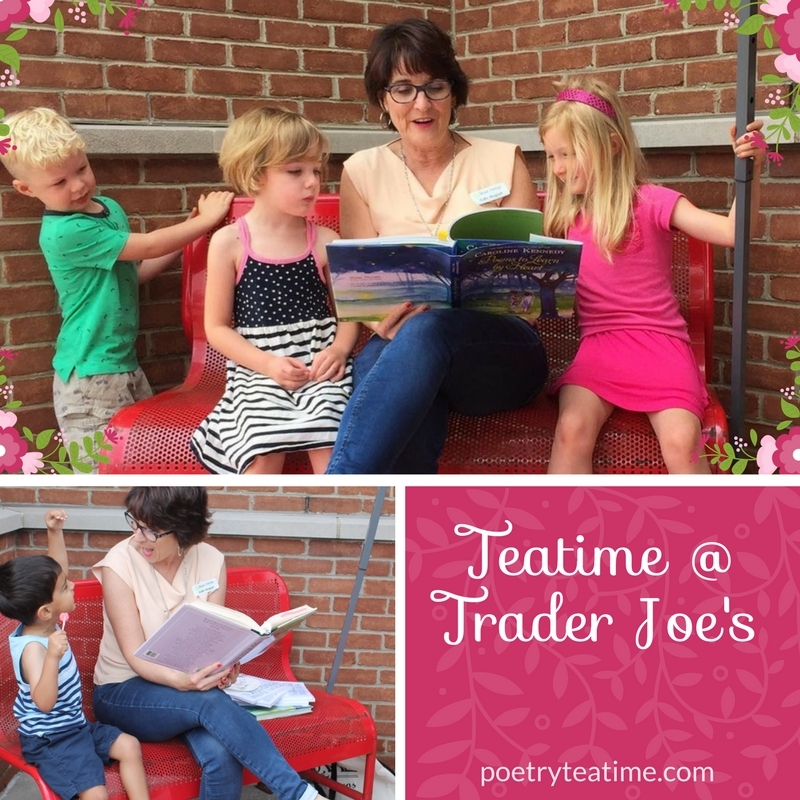 They gathered at a Trader Joe's for some laughter, jokes, and of course, lots of poems to read aloud! Everyone met outside of the Trader Joe's in a corner with benches, shade, and cozy brick walls. For an hour, Julie read poems on every subject from mice and knights to gardens! The kids joined in picking out poems and reading for themselves. Some highlights included Emily Dickinson's poetry and a poem about pancakes. In response to the fun at Trader Joe's, one of our readers sent us this delightful poem. All of the colorful details are inspired by the Trader Joe's Poetry Teatime. Enjoy Vickie's lovely language! Birds send tweets of sing-song prose. Listen to me! See me! Hear me! Cincinnati Red Carpet of Poetry. To see more of this delightful Poetry Teatime, check out this video of the event! If you enjoy the idea of a Poetry Teatime, be sure to read our free Poetry Teatime Quick Start Guide and our Poetry Teatime Companion book available from the Brave Writer store! Also, we recently added a Poetry Book List to enrich your teatime. Happy reading!